233 Rocky Face Drive, Canton, NC 28716 (#3386748) :: Robert Greene Real Estate, Inc. Stunning waterfall retreat! A magical setting for this charming home located in premier gated golf course community of Springdale Country Club. Open floor plan with granite counters and Thermadore appliances. Dry stack stone fireplace in great room and master bedroom. Office/Study on main level. Lower level guest quarters with gas log fireplace. 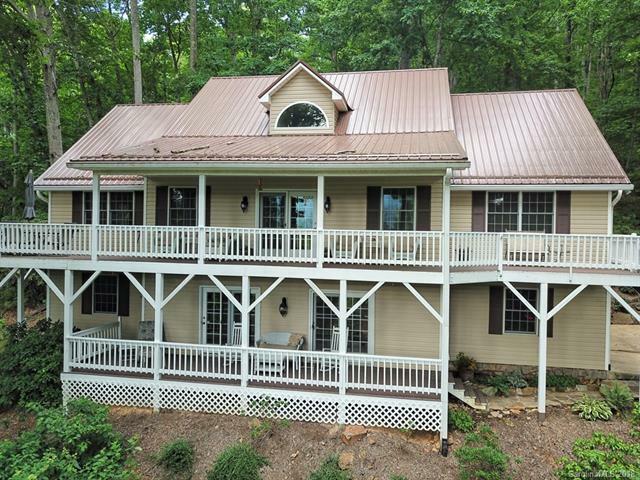 Enjoy the view of Cold Mountain and the sound of the rambling creek and waterfall from your covered front deck. The ultimate mountain and waterfall opportunity in a golfing community!